Media Training for CEOs is one of our specialties. CEOs and C-suite clients are a special group. This is a group that stands to lose the most if media and communication skills are not as sharp as they can be. We will help your CEO to meet their own specific media goals as well as company goals. 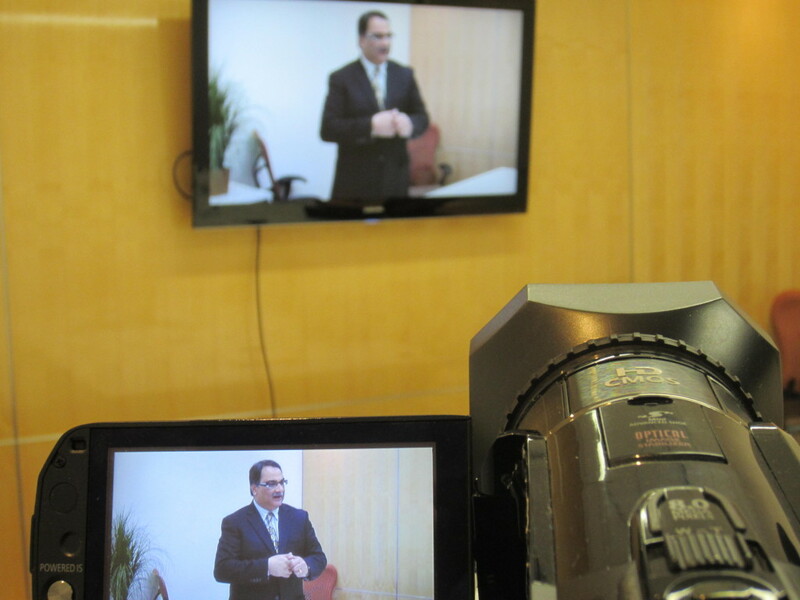 Our Media Training for CEOs program is different than our traditional media training program. This includes many pieces from our Advanced Training as well as customized pieces just for each specific client. If you are an CEO or C-Level executive, you have a special set of needs. You might be giving press conferences or be called on to speak on cable news. Media interviews can feel like a necessary evil but one you must deliver with grace and mastery. The good news is you can have more control than you might have thought. Whatever you goal is, we can give you the tools to get the job done effectively. This CEO Media Training Program will give you the systems and tools to get the right job done right every time. If nervousness or conveying leadership is of concern, you will learn methods that help you not only look and sound better, but to feel better during the process. Our unique Message System, Answer System, and Sound Bite systems are easy to learn and master. This media training program will give you all the tools you need to create the results you are after. This course is for CEOs and C-Level executives who know they would benefit from improved media training skills. We have worked with many CEOs over the years and put on a number of specialized programs just for this group If you would like to know how we can help you or your firm, reach out to us by phone or email. Note: We also offer an exclusive CEO Media Mastery program only open to 8 CEOs in a calendar year. Inquire about availability in this program. media skills to the next level.